We are now on Facebook! find details of all the latest winners by clicking on the link above and like us.........Latest Winning Dances from the West of Britain event see the competition page ...........Next Inventive dance competition the ISTD event Sunday 17th March 2019. Steven Shaw and Helen Blackburn bring you details of all the latest ‘winning’ sequence dances and information about where and when local and national events are happening around the UK. 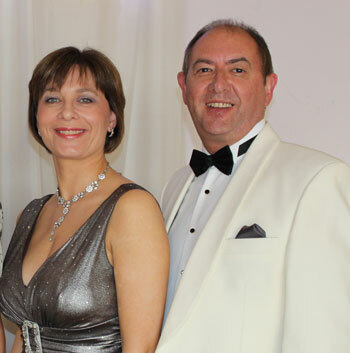 Based in Leeds, West Yorkshire, Steven and Helen are qualified dance teachers and successful Inventive Dance Competitors. 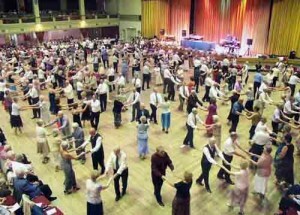 They have been encouraging couples to take to the dance floor and enjoy sequence dancing for many years. Both are championship adjudicators and are available for lectures and tuition at all levels. If you would like more information contact them direct on 0113 273 6885. NEW DANCE HOLIDAYS ON SALE NOW- There are just a few rooms remaining on our latest dance holidays, including September 2019 at the Bedford Hotel St Annes and Twixmas 2019 at the Rendezvous Hotel, Skipton. visit our Dance Holiday page for more details. ISTD Inventive Dance Winners- The ISTD Inventive Dance winners. Modern winner, Sierra Foxtrot, arranged by Barry Earnshaw and Beverley Murch-Fowkes. Latin winner, Hylton Jive, arranged by Stuart Perry and Beverly Howard.